NHL News : Breaking: Crosby being evaluated for an undisclosed injury! Breaking: Crosby being evaluated for an undisclosed injury! The Pittsburgh Penguins made headlines more than once on Wednesday as they signed general managerJim Rutherford to a three-year contract extension through the 2021-22 season. Then, Rutherford pulled the trigger on a one for one player trade, as he moved forward Carl Hagelin to the Los Angeles Kings, in return for Tanner Pearson. While the Penguins are hoping things will turn around and into the right direction shortly once Pearson gets inserted into the lineup, their most important player might be on the sidelines. On Wednesday, head coach Mike Sullivan revealed that Pearson could be available for tomorrow's contest against the Tampa Bay Lightning. 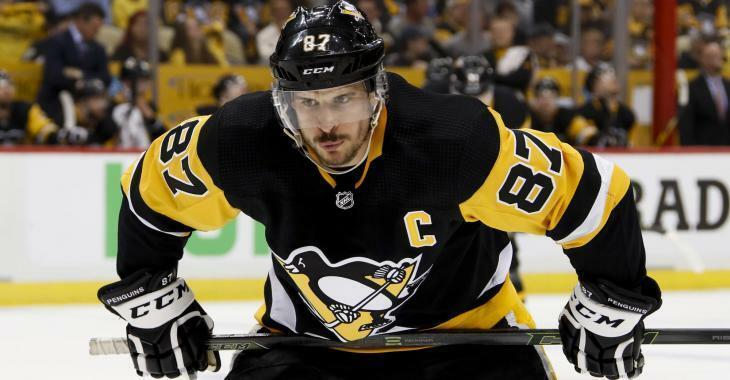 However, he also pointed out that captain and star player Sidney Crosby is being evaluated for an undisclosed injury. Later in his scrum following the team's practice, Sullivan noted that Crosby is undergoing evaluation for an upper-body injury. The captain did not take part in today's practice. "Sid is being evaluated for an upper-body injury." Crosby was in the lineup last night for the Pens' 4-2 defeat at the hands of the New Jersey Devils. In the contest, Crosby collected two assists. No one knows where the captain could have suffered the injury. Jake Guentzel’s sixth goal of the season tied the game at 2 after withstanding a challenge by New Jersey coach John Hynes, who claimed Crosby interfered with goalie Keith Kinkaid. Kinkaid had managed to stop Crosby’s semi-breakaway, but the skate of the Penguins’ star player knocked the netminder to the ice, leaving Guentzel in front of an open net to shoot at with the rebound. After reviewing the goal, the officials ruled Devils forward Blake Coleman caused the problem by pushing Crosby in the back. Did he injure himself on that play? Who knows? We hope to know more ahead of tomorrow's game against the Lightning.